Growing old is a stage in Human development in which gains and losses can be accounted for but where, more often than not, the losses overcome the gains. Auditive deficiency can be one of those losses. Auditive deficiency is characterized by the reduction or total loss of the hearing capacity, where the communication is made in either a verbal or non verbal way. 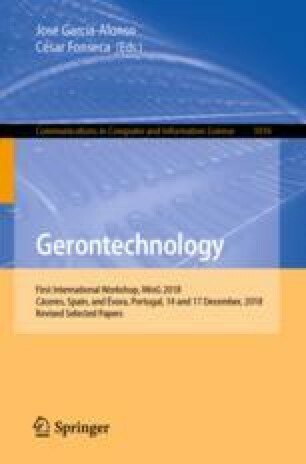 The communication is of extreme importance in any exchange between the elderly and the health care professional, since it is the vehicle through which cognitive stimulation can be made, it being an essential factor in the acceptance of the individual and his/her capacities. For this reason, the health care professionals, willing to provide a superlative service, should be aware of a few strategies that facilitate the communication with this particular population. It is important to optimize communication since difficulties in communicating have socio-emotional implications, including the speeding up of the ageing process. For this motive, some up-to-date technologies that facilitate the communication processes will be presented. Last, but not least, one appeals to the investigation on how best to communicate when dealing with auditive impairments, in order to allow Psychomotor therapy to become more efficient when dealing with this population.